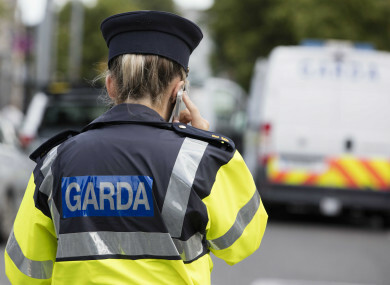 A DRIVER IN her 20s has been killed in a collision in Midleton, Co Cork this morning. Emergency services were called to the scene of the crash on the N25 at Water Rock, heading eastbound at around 8.25am this morning. The driver, who was the sole occupant of the car, was pronounced dead at the scene short time later. Her body was removed to Cork University Hospital where a post-mortem examination will be carried out. Garda forensic collision investigators are examining the crash site and local diversions are in place. The local coroner has been notified. Gardaí in Midleton are appealing for witnesses – anyone with information is asked to contact Midleton Garda Station on 021 4621550, the Garda Confidential Line on 1800 666 111 or any Garda station. Email “Woman (20s) killed in single-vehicle crash in Cork”. Feedback on “Woman (20s) killed in single-vehicle crash in Cork”.